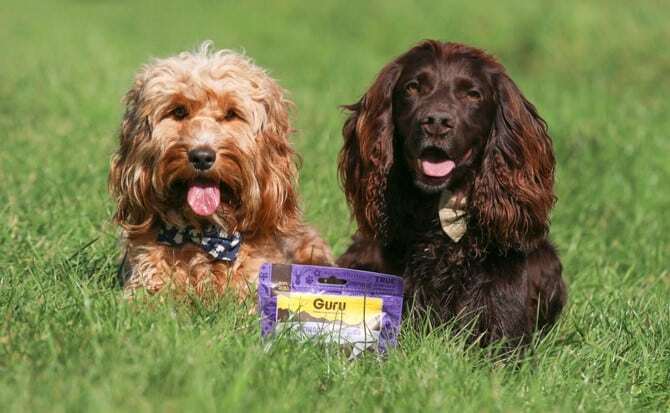 The dogs seem to believe that the most important thing in their life is food…in particular Guru Pet Food. So I thought we’d talk you through their mealtimes and treats. Like most dog foods Guru is fed depending on your dog’s weight. 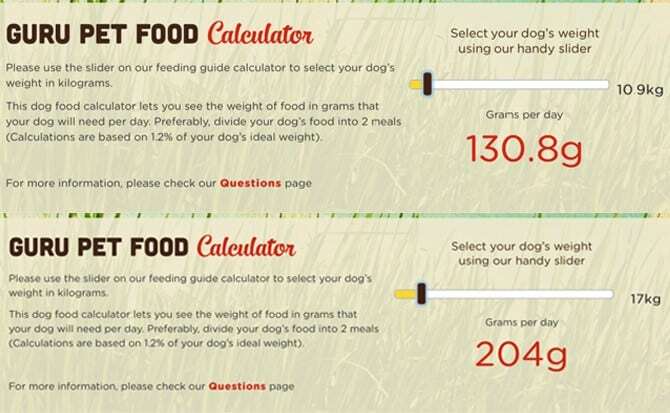 They have a useful online calculator to help you work out how much food your dogs need per day. 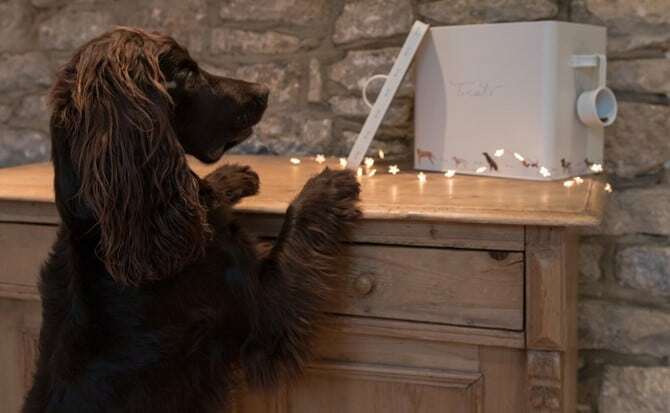 The ideal amount suggested for adult dogs is 1.2% of their weight, Woody & Wilma’s are down below and you can calculate yours here. Remember to divide this in half if you feed your dogs twice a day. 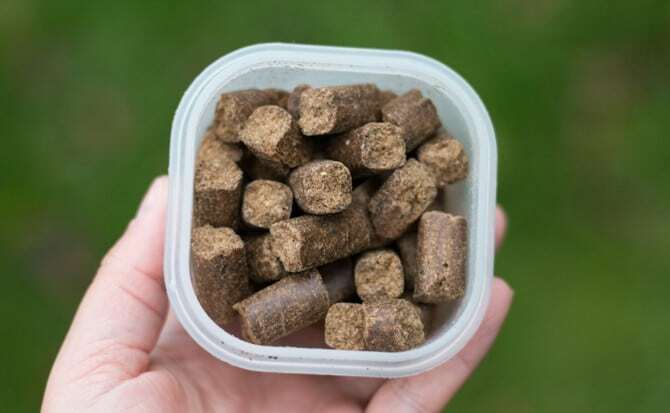 Overall you will feed your dogs less Guru than other dog food, still filling your dogs up just as much. 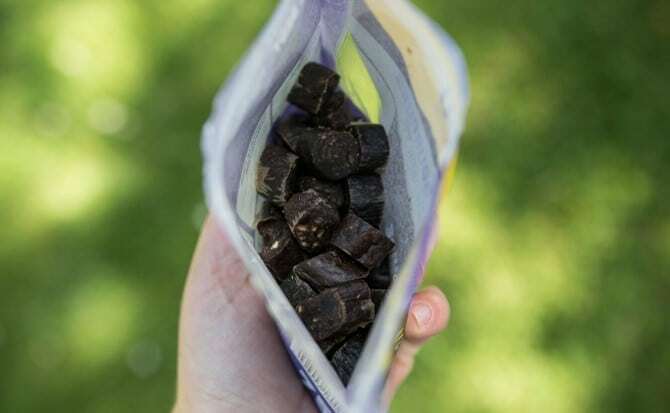 Meaning you save money as your bag of food lasts longer! When I come down to the dogs in the morning they head straight out for a wee and then run back in to stand next to the food box, hinting that it is time. 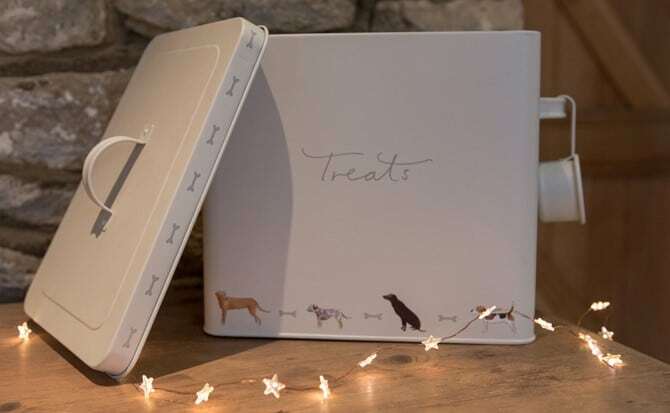 I use a Sophie Allport dog treat tin to store the Guru in, which has a mini scoop which I’ve worked out how many scoops each dog has. The dogs have personalised bowls from We Love To Create which I absolutely ADORE [You’ll know how much I love anything personalised]. I always put the dogs in a sit and wait before eating, it’s a great way to reinforce your training. When we’re out on walks, photoshoots or at agility I always have tubs of Guru on me. I use Guru instead of other dog treats as my dogs absolutely love it. You may want to cut down their dinner slightly if you’re feeding the dogs out and about but mine don’t easily gain weight as they’re so active, so i’m not bothered. It’s so important to reward your dogs so they know what they have done right, always tell them well done rather than punishing them when they haven’t done it. The Guru “nuggets” as I call them can be snapped in two for smaller treats for a quick reward. 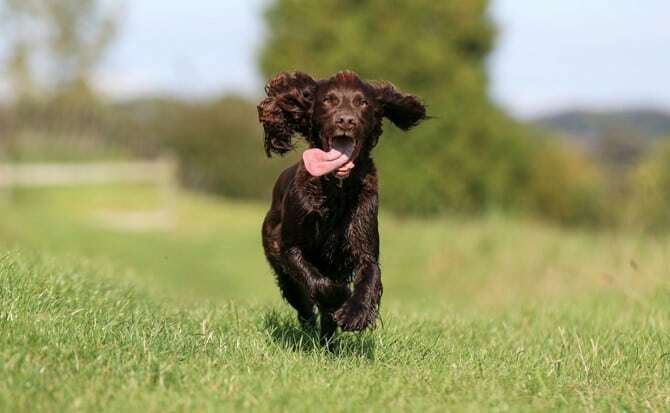 Woody practically inhales them no matter what size, but Wilma sometimes does struggle eating them; especially at agility when she needs a quick reward before running off [You’ll spot me waiting for her at the end of a piece of agility equipment whilst she’s munching away]. If i’m asking a lot from the dogs, for example a hard task or paying attention around lots of distractions I use a higher priority treat. This means that the treat is the most exciting thing around and they will do anything for it. This is also great for recall practise. 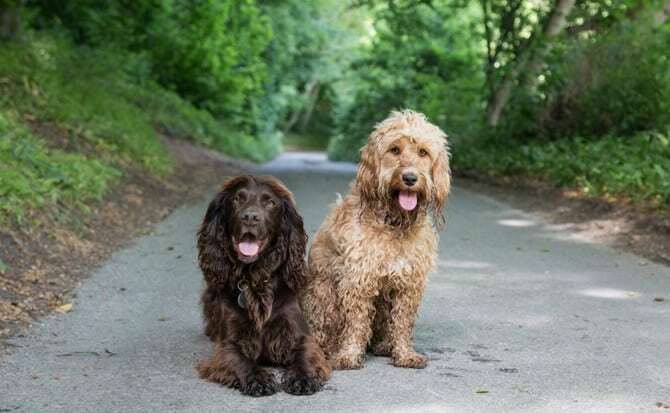 When calling your dogs back to you a different kind of treat to normal is very important as they’ve run ahead to explore all the exciting smells so won’t want to come all the way back just for an ordinary treat. For this I use Guru Venison sausages, because my spaniels believe there is no food better than a sausage. The back of the ‘Nothing to hide – Venison Sausages’ advises only 5 pieces per dog, per day. So these aren’t suitable as every day treats because clearly my two eat many more than 5 treats a day! 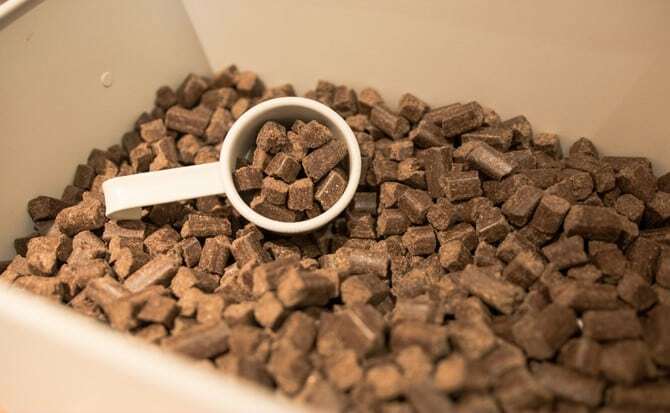 It’s always worth checking the back of dog treat packets as many will have guidelines to how many your dogs can have a day to keep them healthy – another reason why using their dog food is a great idea. The dogs soon remind you that it’s dinner time again and it’s the same routine as the morning. In the evening at 9pm exactly the dogs come and find you for their 9 o’clock chew. Im not quite sure how this all started but 9o’clock on the dot they pester you until you give it to them. It used to be a Dentastix each but since learning how bad they are for dogs we changed over to natural chews and haven’t gone back since! Do your dogs eat Guru? We recommend it to everyone! Order a sample and find out if you love it as much as we do. See more of our gorgeous Country GeekSTARs: Instagram, Twitter, Facebook, Blog.